Both Tony and Khai may independently execute many projects but refuse to bow down to the traditionally accepted idea of what an indie film is and are out to carve that ‘middle ground’. Tony is currently in the midst of planning a shoot which revolves around an international collaborative film project currently titled, Train Station which connects dozens of short segments from Directors globally. They will then be pieced together to tell a single but multi-faceted story. The project is part of CollabFeature (www.colabfeature.com) and the movie with Tony’s segment will premiere in early 2012. Khai is also keeping busy with something closer to home. He is in post-production for Relationship Status. It is something he’s written and is directing himself and is about how social networking affects relationships today. It features a star studded cast of Gavin Yap, Davina Goh, Susan Lankester, Baki Zainal, Tony Eusuff, Amanda Ang, Adeline Ong, Benji Lim, Pete Teo, Ruzana Ibrahim, Daphne Iking, Will Quah, Shuba Jay, Alfred Loh and himself. 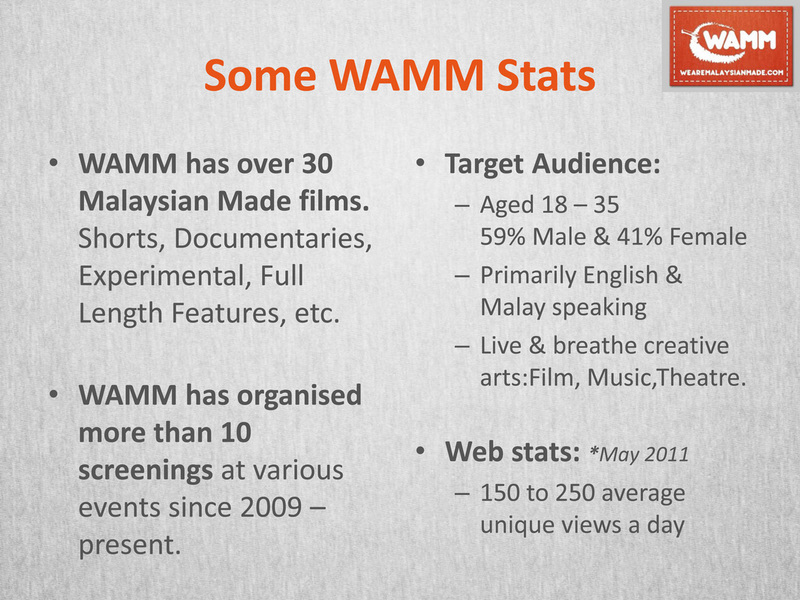 The movie should premiere at TGV cinemas early next year and you can find out more at facebook.com/relationshipstatusmovie, relationshipstatusmovie.tumblr.com or on twitter @RStatusUpdates. 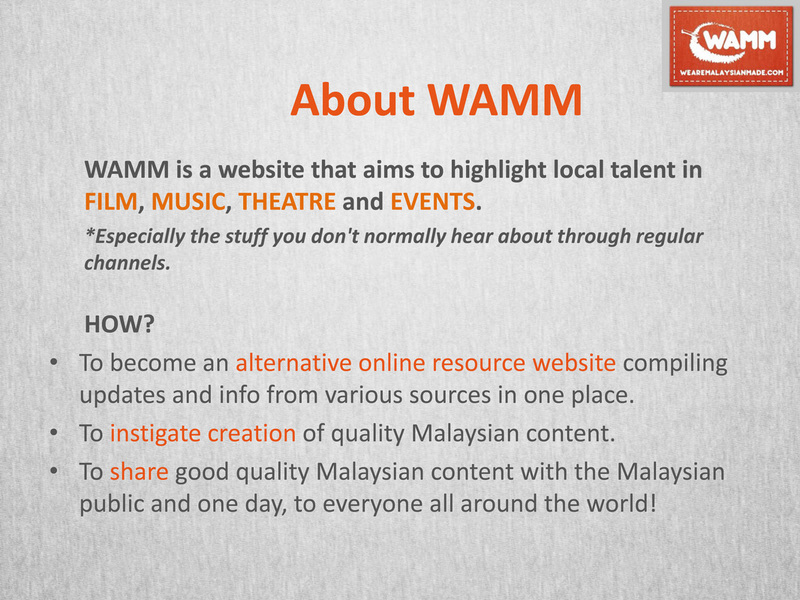 Stay tuned for more updates right here in FACES and you can also check out WAMM’s site.